With parts of the country digging out from the recent snow storms, it is clear winter is here. Tian Tian, the panda bear from the National Zoo in Washington, definitely enjoys it. Here are some fun, easy snow crafts to do with your family when you are done playing outside; or if you live somewhere without snow, this will bring a little winter to your home. This easy to make paint will keep your little ones busy. 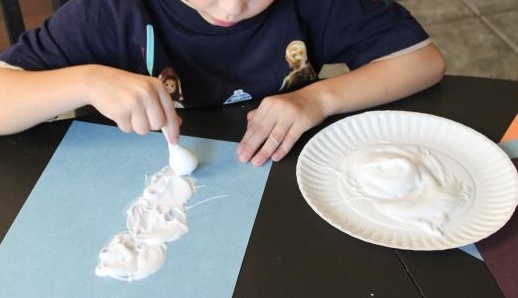 Mix together equal parts shaving cream with white glue. Have them use the paint on dark-colored construction paper or even dark-colored paper-plates. To add a little sparkle, put some glitter in the paint. When your child’s creations dry, they will puff up and have a fun 3-D look to them. Bring the arctic to your home with these adorable polar bears made with cotton balls, glue, full-sized white paper plates and construction paper. Create the basic shape first by cutting ears from one paper plate. Then glue or staple the ears on to another plate. 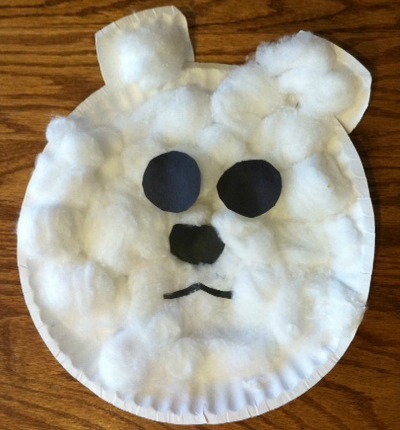 Now, using glue and cotton balls, your child can cover the plate. Finish it off by adding eyes and a nose. To add to your polar bear family, make baby bears with smaller plates. Using a paper bowl, marshmallows and glue, you and your kids can create a marshmallow igloo. Then, make little marshmallow snowman who live in the igloo for them to play with. To make the igloo, cut out a portion of the bowl which will be the door. Turn the bowl upside down and have your children glue small marshmallows all over the bowl. When the igloo is finished, create some snowmen by putting two large marshmallows together with a toothpick or glue them together. Break a toothpick in half for the arms and, with a marker, add the face. Now it can be a nice decoration or a fun scene to play with. Create your own winter fun in a bottle. 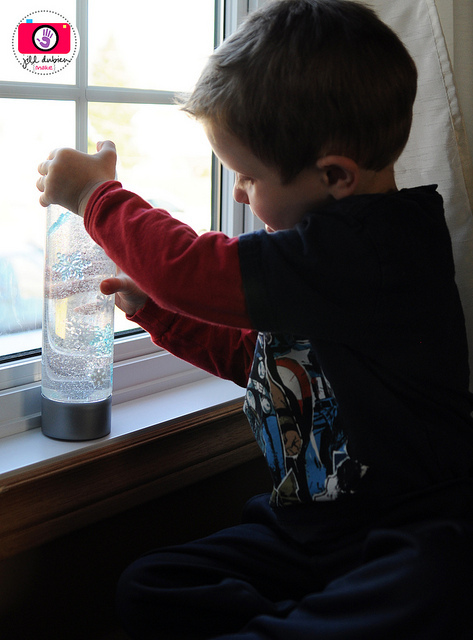 Using a clear plastic bottle, clear glue, water, glitter and small plastic snowflakes, you will have something that will keep your kids’ attention for many hours at home or in the car. Click here for the full directions.